Each January for years now, we read something from the digital marketing industry announcing that “Email is Dead!” Yet each year, email remains the stronghold of both ROI ($38 for each dollar spent, DMA) and conversion (66 percent, DMA). Email is NOT dead, dying or ailing. Email is evolving. Domain-based reputation is becoming relevant. With DMARC now supported across the industry, mailbox providers have a common and clear connection point between IP address and sending domain. Using both domain and IP address metrics provides a more complete picture of a sender, making domain-based factors relevant and useful for reputation building and decision making. Subscriber behavior is classifying mail. 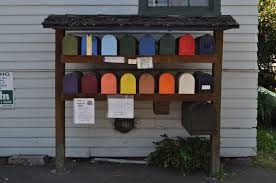 Mailbox providers are also leaning on subscribers to indicate what mail is wanted and what mail is unwanted. Behaviors like opens, foldering and forwarding of mail are all positive indicators that mailbox providers can use to identify wanted mail. Spam complaints and deleting without reading are metrics that identify unwanted mail. Using aggregate subscriber feedback to filter individual campaigns is now common practice. Personalized filtering is the next step. The most sophisticated mailbox providers are moving beyond using aggregate subscriber behavior to classify individual campaigns. They are starting to personalize delivery to individual subscribers based on their own previously indicated preferences. When one subscriber consistently has positive engagement with a sender, the mailbox provider uses that behavior predictively to deliver that sender’s mail to that subscriber’s inbox. Conversely, when a mailbox provider has consistent negative engagement indicators, a subscriber will start to have that mail delivered to the junk folder or blocked altogether. While personalized filtering is new, we anticipate it will grow in importance over the next few years. The trend of adapting a broader base of metrics for filtering algorithms will continue, as mailbox providers strive to stay a step ahead of spammers, and retain subscribers through a trusted user experience. This concept of subscriber trust will become foundational, as persistent fraud continues to cast a cloud on digital marketing. We’ll explore the trends around email fraud in Part 2 of this series, including how both mailbox providers and marketers are preparing to defend the space. In Part 3, we’ll take a look at how hyper personalization will elevate our relationships with subscribers. This post originally appeared on Total Retail.